As a website owner, you want to know for sure that your visitors or customers will only see emails that you have sent yourself. Therefore, DMARC is a must for every domain owner. Securing your email with DMARC gives email receivers certainty of the email’s legitimacy. We receive DMARC data from most ISPs and this number keeps growing. At upwards of 80%, the global coverage of all inboxes is unbeatable. 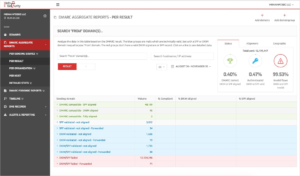 User friendly reports that allow you to analyze the your DMARC data easily and effectively. 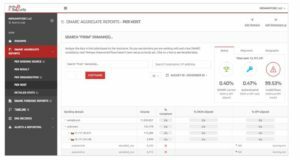 Stable backend generates your DMARC data charts at lightning speed, for a pleasant user experience. 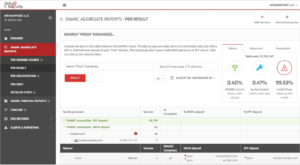 DMARC combines the well known (and well spread) authentication techniques SPF (Sender Policy Framework) and DKIM (DomainKeys Identified Mail) and add an important aspect: reporting. Until now senders didn’t have insight in the percentage of their mail which didn’t pass the SPF conformance/DKIM checks or which weren’t signed in the first place. By using DMARC you can get important information about the mail you send. You can use this information to get all your e-mail DMARC compliant. 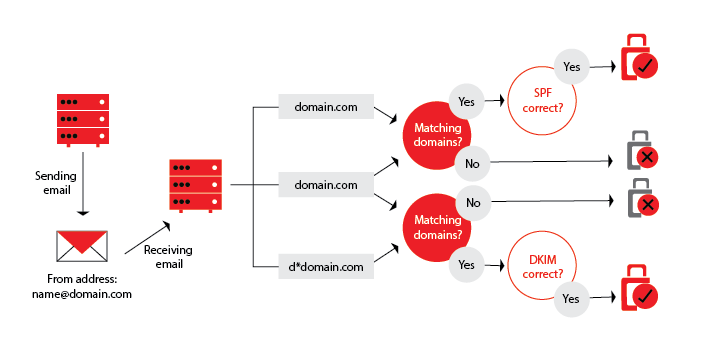 DMARC compliant is more then just mail which is ‘authenticated’, but it is also related to your sending domain. This domain must be ‘aligned’ with the SPF or the DKIM domain.